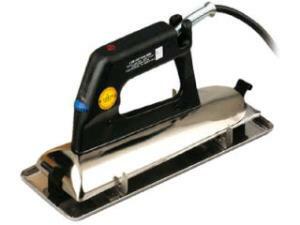 A carpet seam iron is the tool you need when seaming two pieces of carpet together. Using carpet seam tape, this iron heats up the glue on the tape to allow you to attach two pieces of carpet and hide the seams. Unit includes resting tray and carrying case. * Please call us for any questions on our carpet seam iron rentals in Hillsdale and Ridgewood NJ.